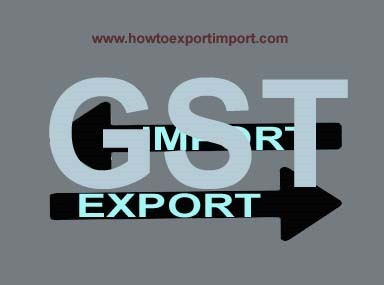 In the context of GST, taking into account the obligation of filing GSTR1 and GSTR2 by exporters who are registered under GST, Board intends to simplify the procedure relating to factory stuffing hitherto carried out under the supervision of Central Excise officers. It is the endeavour of the Board to create a trust based environment where compliance in accordance with the extant laws is ensured by strengthening Risk Management System and Intelligence mechanism of the department. Suitable circular in this regard would be issued. Until then the extant instructions on the issue may be followed. Note: The above guidance note should not be used in any quasi-judicial or judicial proceedings, where only the relevant legal texts need to be referred to. Any GST attracted on turnips? Zero rate of GST on sale of wilkings and similar citrus hybrids? Any GST exemption on sale or purchase of Coffee? 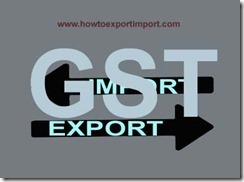 Should I need to pay GST on Services provided by Government or a local authority part 3? Any GST attracted on sponsorship of sporting events organised by CCSCSB? GST slab rate on Fabrics of manmade staple fibres business. How to get Certificate of Origin non preferential in Karnataka?